If you stumbled into Diego Bonetto's backyard in Enmore, you might be tempted to provide him with copious amounts of weedkiller. "I have fennel, mallow, nettle, dandelions, all these different weeds. They cover my backyard," he said. "They're happy, they're strong, they love me and I love them." Mr Bonetto, 44, has foraged for weeds since his mother sent him out as a child to collect dandelions when he was growing up in Turin, in Italy's north. "Dandelions, when they're young, can be great in salads," he said, examining a freshly up-rooted clump at a park near Tempe railway station. He regularly scours parks, riverbanks and even built-up environments around Sydney. In the past four years he has witnessed a foraging revival, which he believes stems from the growing interest in eating local food and a rejection of processed offerings. He used to host urban foraging tours once or twice a month. This year he has been leading groups of up to 25 people, at least 15 times a month. He takes them to foraging hot spots that are not polluted and not sprayed by the council. In August Mr Bonetto launched an online map for Sydney's foraging community that shows where wild foods grow. "It will also be a tool to lobby councils to stop spraying in certain areas where there are edible foods growing," said website collaborator Adrian O'Doherty. 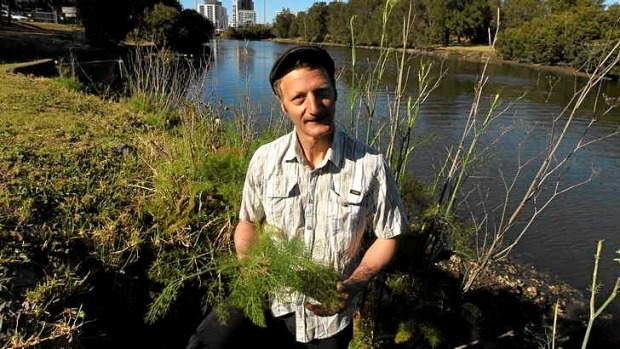 Mr Bonetto is running foraging tours from Tempe station during Good Food Month.